Gijs Groen participate in NBC Environment Conference in London. Area Sales Manager of Bird Control Group, Gijs Groen visited London to participate in NBC Environment Conference. The conference is hosted to promote environmental sustainability in business. 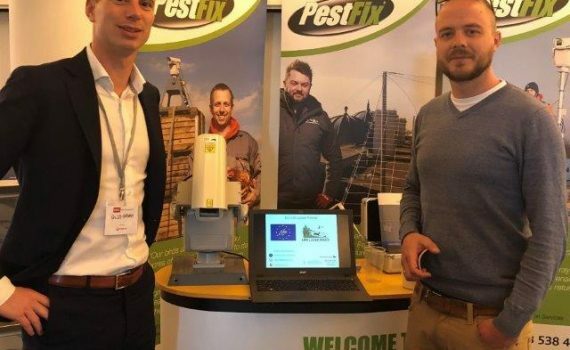 There were a lot of inspirational speakers and demonstrations by industry experts including live bird of prey, robotic falcons, surveying with drones and our laser bird repellents as the latest bird management technology. 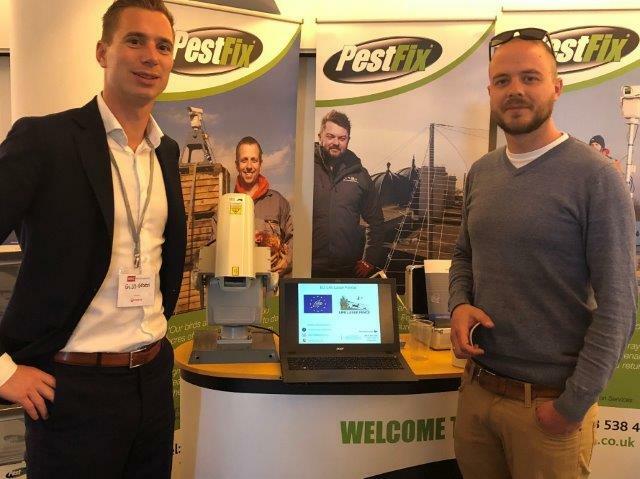 Gijs Groen talked to the pest controllers, local authorities and facility managers. All of them might have different backgrounds but they all share the same problem – pest nuisance that bring a lot of issues and problems. 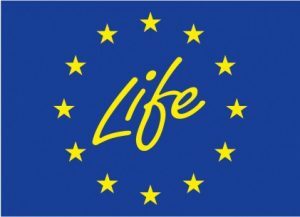 Gijs talked with the visitors of the event about the EU Life Laser Fence project and the solution we are researching on repelling mammals with the laser fence. The pest controllers find the idea very interesting and meaningful. They are very keen to learn more about the possible opportunities with the laser fence in the future.